orking Group Interpol DVI, started a new Petition to the European Union. Interpol has reached a harmonization of the process of human identification through the work of the Interpol Disaster Victim Identification (DVI) Working Group and the use of the Interpol DVI forms, especially in Disasters with multinational casualties. The Interpol Working Group on DVI is composed of national police representatives as well as forensic experts in pathology, odontology and genetics from several countries around the world. Forensic Odontology for Human Rights is a new international group of volunteers promoting contemporary forensic odontology as a humanitarian tool to protect human rights. The Forensic Odontology for Human Rights International Working Group was inaugurated on May the 5th 2015 at the Annual Interpol DVI Meeting in Lyon. The Group seeks forensic odontologists and oral health professionals with forensic background to promote forensic odontology and forensic science principles to caseworks with the purpose of preventing Human Rights violations through the application of best practice in human identification, age estimation and where dental evidence is involved. Human identification of human remains and nameless cadavers is (should be) performed using primary and secondary identifiers. Primary identifiers are: DNA analyses, dental comparison, and fingerprint comparison, as recommended by Interpol and by science. Since 1999 all Forensic Science disciplines have developed in terms of protocols and technology, including Forensic Odontology especially in the field of Dental Radiology. The first portable X-Ray device was, in fact, used during the disaster victim identification of the Tsunami 2004. 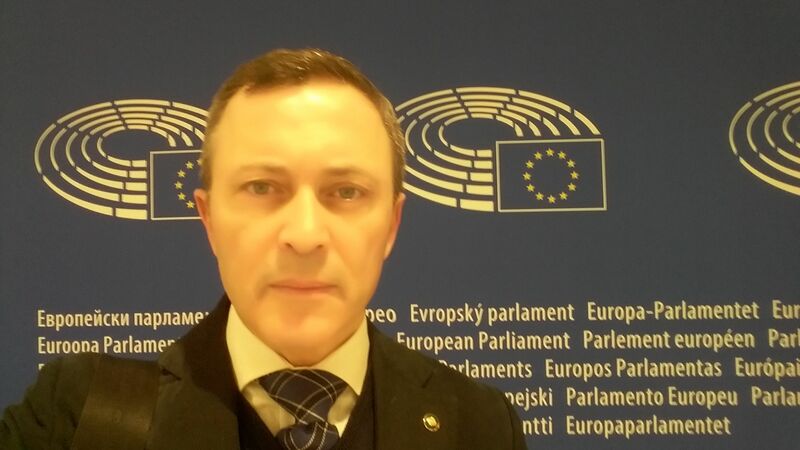 For this reason, we encourage the EU parliament to evaluate an update of EU Recommendation (99)3 on the aspect of forensic human identification, taking into consideration that unidentified human remains should be processed by both a forensic pathologist and a forensic odontologist in order to retrieve all post mortem identification information. It is not conceivable that an unidentified body may receive a different treatment to reach a positive ID depending on the place of death or the place of recovery. All unidentified bodies should undergo an autopsy performed a forensic pathologist and then processed by a forensic odontologist for a dental autopsy. The systematic inclusion of a dental autopsy in all identification autopsies can reduce the time needed to reach a positive identification, reduce the anguish of the bereft families of the missing and respect human rights, reduce the cost of the identification process. – paragraph Principle III – Identification (page 4 – Recommendation (99)3): Dental Examination and also Dental Autopsy (dental examination and dental autopsy are a different assessment). – paragraph Principle IV – General Consideration (page 5 – Recommendation (99)3) add: when jaws or teeth are present a complete dental autopsy should be performed by a Forensic Odontologist or a Dentist experts in Forensic Odontology (complete dental autopsy means that also dental radiology should be performed on jaws and teeth in order to record and archive extra identification data).